DC Entertainment’s Justice League has been released to digital home media a whole month ahead of Blu-ray, Ultra HD Blu-ray, and DVD. The film was directed by Zack Snyder and stars Ben Affleck, Henry Cavill, Gal Gadot, Ezra Miller, Ray Fisher and Jason Momoa as the Justice League team heroes who battle the invincible Steppenwolf set on destroying the world. Here’s a breakdown of details and where to buy Justice League in Digital SD, HD, and UHD. Popular services where you can buy Justice League in digital formats include Amazon Video, Apple iTunes, Google Play, FandangoNow, Microsoft Video, Verizon FiOS On Demand, and Vudu. For those of you with Ultra HD TVs, the film is available in Digital UHD (4k) from Apple, Google Play, and FandangoNow. The digital purchase of Justice League from some services includes bonus features that come with the Blu-ray Discs such as “Road to Justice,” “Technology of the Justice League,” “Scene Studies” and more. iTunes, FandangoNow, Microsoft, and Vudu all include bonus features, and iTunes has their own exclusive DC 101 videos. The digital purchase from Vudu packs nine bonus features, and Microsoft boasts eleven pieces of extra content. See below for available list of bonus features. 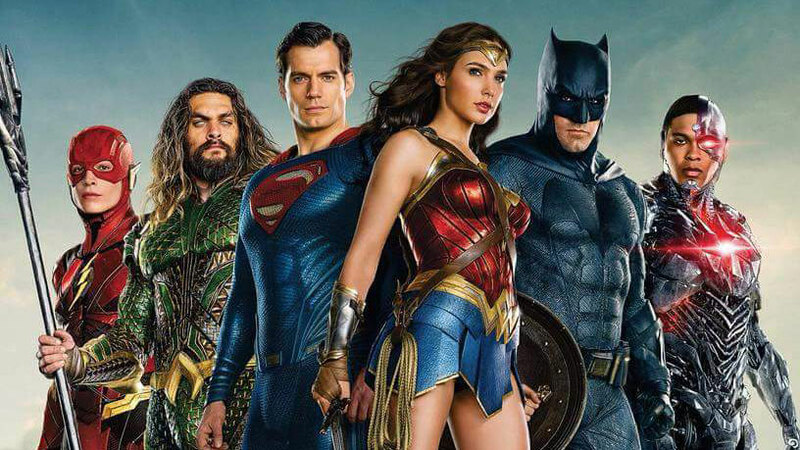 Apple iTunes, Google Play, FandangoNow, and Microsoft Video all have have Justice League available in Digital UHD (4k), which can include HDR specifications that extend the color range on devices that are capable of displaying the format such as 4k HDR TVs, Apple TV 4k, iPhone 8 and iPhone X, as well as supporting Android TVs, phones and tablets. Justice League in Digital HD is $19.99 from most services. However, if you’re looking for the 4k UHD version stay away from Microsoft Video and Google Play where it’s priced ten dollars more at $29.99. See below for more details on pricing.